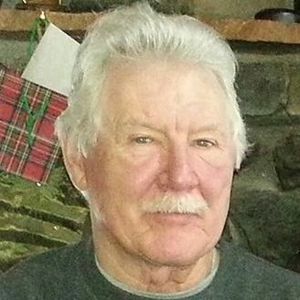 Clyde Eugene "Gene" Storner, age 73, passed away on Wednesday August 1, 2018. He was born on January 14, 1945 to Clyde Storner and Norma Weeden in Madison. Gene married Darlene Rhode on July 15, 1989. Gene served his country in the U.S. Army. He was a bus driver for Kobussen and Riteway Leasing, and was an office manager for McDermott Pumps. Gene had great passion for life, he was a loving Husband, an inspirational and loving Father and, a great friend to so many. He loved spending time with family and friends, and always loved playing a good game of cards. Gene is survived by his wife Darlene; daughters Maria (Andy) Cole, and Wendy (Jamie) Heutmaker; and granddaughter Tatum Cole. Thank you; Husband, Dad and Friend for a lifetime of generosity, kindness, selfless love and wonderful memories! A Celebration of Gene's life will be held at Nora's, 1843 US Hwy 12 and 18, Deerfield, on Saturday, September 15, 2018 beginning at 2pm. Geno was a good friend , he will be missed by us and his many friends. He had a quiet and fun demeaner about him and we always enjoyed when the group got together for many laughs and teasing. I am very sorry for your loss, God bless. Was just talking about Gene this past weekend while reminiscing about a Canada Fishing Trip and his interaction with Cook, the son of the resident at the fishing cabin. Cook ran around with a towel tied around his neck as a cape impersonating his favorite SuperHero. Gene fit right in !